Are you looking to improve your stage lighting this year? 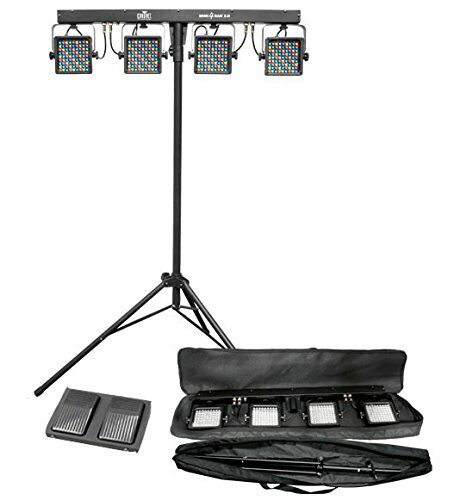 But don’t have time to sift through endless products trying to find the best lights for your stage? Then you’re in the right place. Leave it to the Stage Lighting Gurus to show you just what’s hot right now in the world of stage lighting. Below you’ll find our Top 5 Guide to help you make the right choice. 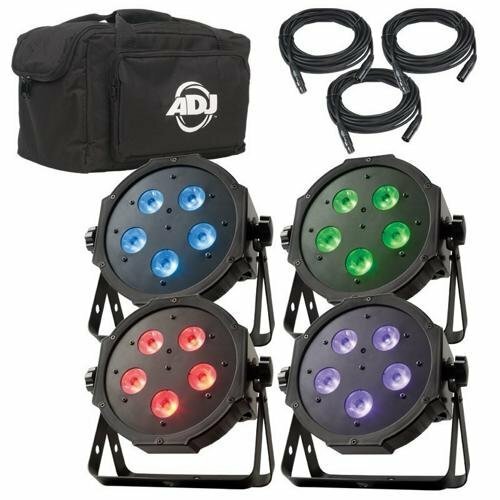 The ADJ Mega Flat Tri-Pak PLUS 4 MEG944 features a low profile stage lighting fixture that adds pop and color to any party. Its unique sit-flat design allows users to create different effects; by placing it directly on the ground or in a truss. Additionally, users can light an entire stage; use it for uplighting and wall lighting with the four wash light fixtures and 3DMX connector cables (come packaged in an ADJ carrying bag). The Chauvet Mini 4 BAR 2.0 is another awesome ready-to-go stage lighting fixture (takes only five minutes to set up). 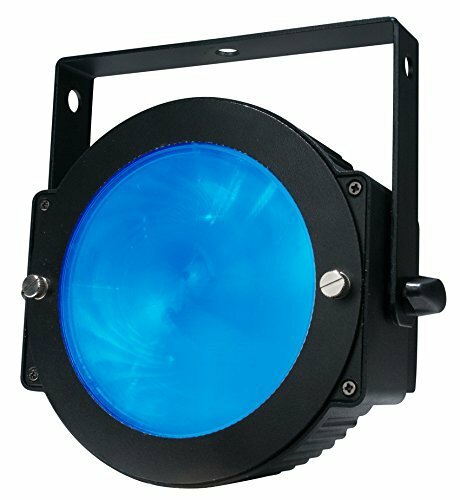 This stage lighting fixture comes with remodeled, square LED wash lights fitted with 81 LEDs per pod. For maximum lighting users may position each light independently or adopt different elevations to create multiple effects. If looking to create the WOW factor for your party or other events, then the ADJ Quad Phase HP is just the ideal fixture. Powered by a 32-watt 4-color LED light source it produces up to 15 different colors. Its dynamic lighting capabilities make it perfect for areas that require significant amounts of light coverage. 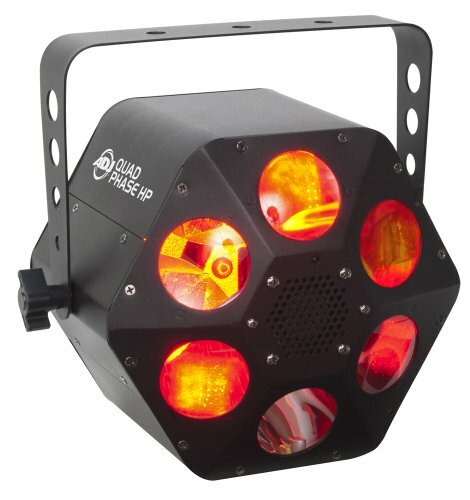 The ADJ Quad Phase HP provides different LED moonflower stage lighting effects whether used individually as a centerpiece in a mobile setting or multiples for large contexts. Note that the fixture generates minimal heat when lighting and the LEDs have a useful life of up to 30,000 hours saving you from mid-event crisis. 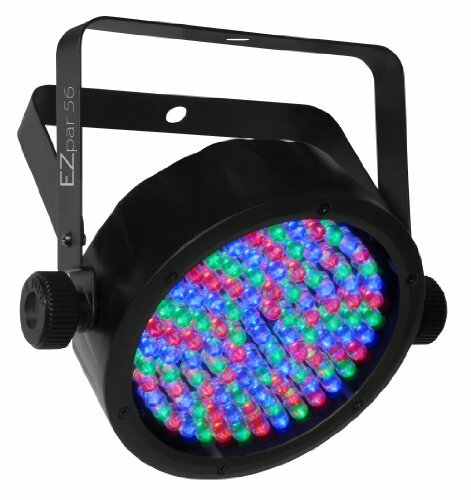 The Chauvet Lighting EZPAR56 LED Lighting is a battery-powered light fixture designed for a hassle-free setup. It comes with a Lithium-ion rechargeable battery that powers all the LED lights (36 green, 36 blue and 36 red) to produce spectacular colors. Users can monitor the life of the battery via the built-in battery life indicator. The EZPAR56’s compact stage lighting design allows portability in the CHS-25 VIP Gear Bag and hassle-free fitting in truss sticks. The ADJ DOTZ PAR COB is a high-powered tri-colored LED lighting fixture designed to produce high-output color washes and smooth color mixtures without RGB shadows. The COB (chip-on-board) feature allows the 36Watt LED to fit compact and low-profile areas thus ideal for limited spaces. Additionally, the DMX connectors have a slanting orientation so users can set the fixture flat on a surface. The DOTZ PAR COB also comes with various automated programs: Auto-run, Pulse & Strobe, Color Macro for easier setup. The DMX mode allows in-depth control while the master/slave alternative lets users coordinate fixtures without a controller. To check the current price and discount, hover over the stage lighting product image.